I just wanted to tell that I can’t bake… To be exact, I cannot bake without tasting too much. Since I had frozen edamame paste in the fridge, I decided to make edamame pancakes. It may sound weird, but I wanted to add more protein to the Daiki’s snack. Then, on my second try, it looked a bit undercooked so left it for a few more minutes…overcooked again! So I ate it. One piece led to another…. I was soooo stuffed!!! 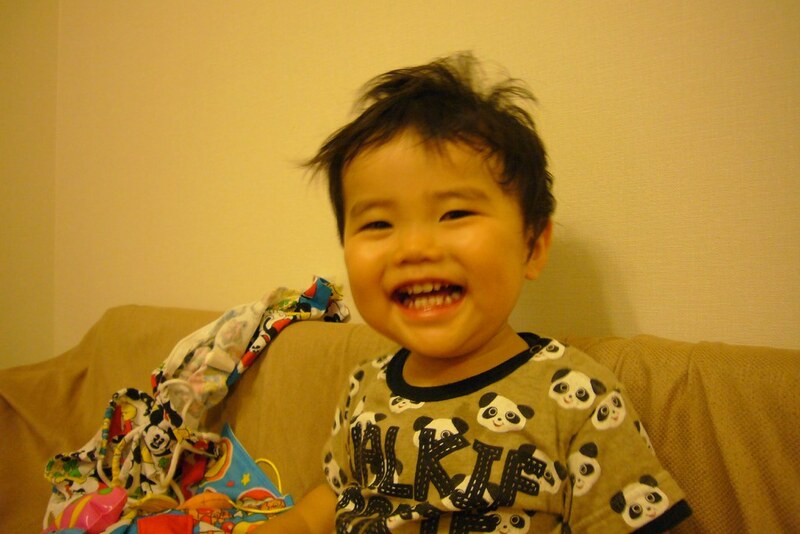 Little Daiki in Tokyo says, "Stop eating my pancakes, Mom!" 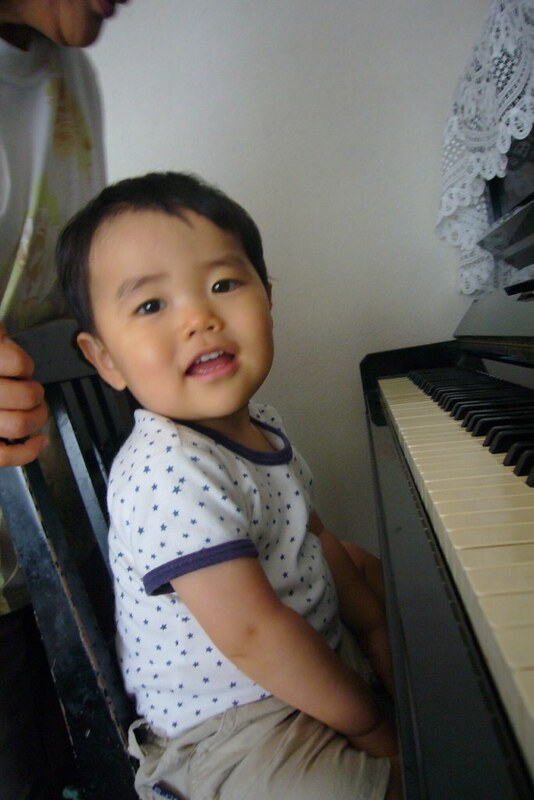 I am also posting to say how cute Yuko's son is! Wow - what a personality in that smile!